IRS certification is mandatory to provide online filing services and truckTaxonline.com takes the pride of introducing itself as one of the IRS certified software provider. An IRS Authorized e-file Provider for Tax Form 2290 online filing is a business or organization authorized by the IRS to participate in IRS e-file of Tax Form 2290 online. It may be a sole proprietorship, partnership, corporation, or other entity. The firm submits an e-file application, meets the eligibility criteria, and must pass a suitability check before the IRS assigns an Electronic Filing Identification Number (EFIN). Applicants accepted for participation in IRS e-file of Tax Form 2290 are called IRS Authorized e-file Providers for Tax Form 2290 online filing. 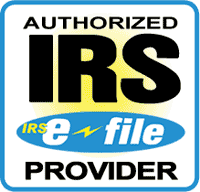 IRS certified providers for Tax Form 2290 online filing, like truckTaxonline.com allow HVUT taxpayers to file their form 2290 electronically (E-File) where the returns are processed faster and with fewer errors. This means quicker refunds and less contact with the IRS. Proof of payment for the HVUT, Schedule 1 copy, is returned to the taxpayer by the IRS through these providers within very less time frames.